Minimizes frizziness caused by dryness, and leads to naturally glossy hair that fingers can run through smoothly. Shampooing readies the hair and scalp for achieving beauty. 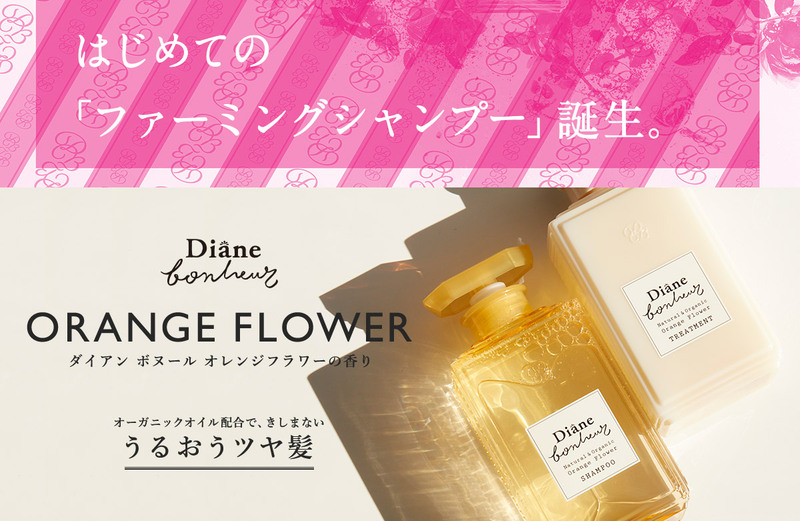 The scent of orange flower is soft and eloquent, with a hint of noble air that refreshes the mind of body. After shampooing, apply and gently massage conditioner into hair. Leave it on for 1-2 minutes and rinse off thoroughly with warm water.